COMMENT Largely driven by ordinary citizens, often connected through the social media, Southeast Asia is experiencing important and substantive political change. In this year of the Arab Spring, attention has centered on developments in the Middle East. With street protests and elections, amidst violence, there is no question that the region has experienced a profound political upheaval. Yet, 2011 has been extremely significant in Southeast Asia as well. 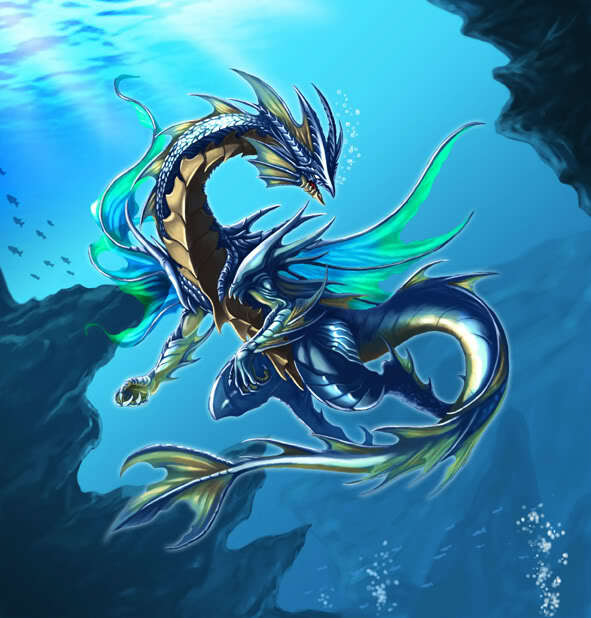 The ripples of change are here. Largely driven by ordinary citizens, often connected through the social media, Southeast Asia is experiencing important and substantive political change, with the balance clearly in favour of greater empowerment of citizens, human dignity and promise. Let me begin with the one that Malaysians themselves know well – the increased political awakenings of citizens. It centers on July’s Bersih 2.0 and more recently the demands for academic freedom by university students and graduates, but one can go back to the Sarawak state election in April to see a greater sense of political awareness and appreciation of the impact every individual can have on bringing about a better government. Personally, I will never forget the energy at the political rallies in Miri, where young and old came out in the rain to listen and hope for a better future. It is important for all the political parties across the spectrum to remember that people stand in the rain not to support the parties, but the potential of better governance they represent. The trend now is moving outside of political parties towards civil society and individuals, taking the issues directly into the hands of ordinary people. This broadening of political participation is healthy, in that is allows for more diversity of views. This political awakening is happening across Southeast Asia – in Singapore, where a record number of citizens attended political rallies and voted, in Thailand, where local communities banded together to address the challenges of the floods, and in Indonesia, where the anti-corruption drive and calls for good governance are being led through whistle blowing and robust online discussions. Even when poor decisions are being made by leaders or politicians are providing bald-faced denials, the citizens are exposing these and fighting back. Consider the saga of housewife Prita Mulyasari of Tangerang, Indonesia. When she complained about the hospital service and sent the e-mail to 20 of her friends, the hospital sued her and she was fined. She fought back, winning an acquittal in civil court in 2009, and earning the support of thousands of Facebook fans. This July Indonesia’s Supreme Court overturned the decision saying that she was guilty of defamation and now the outrage has deepened. Her family is calling for a judicial review, with the support of an angry public frustrated with the inequalities in court decisions and corruption within the judiciary. Fights like Prita’s are never easy. Those who stand up to power often face alienation and threats, especially women. The rallying around what is right is increasingly common and gaining ground, as the public across Southeast Asia are speaking up. There are now more places in the region where people are standing tall. This year will be remembered as that change occurred in the most unexpected places – the more authoritarian political systems. In May, Singapore’s general election became a watershed, exposing the frustrations with elitist governance in the island state. This human wave calling for inclusion and fairness extended to the presidential polls in August, where the PAP’s chosen candidate for President Tony Tan only squeaked through with less than 1% of the vote. Months later, the system remains in shock, still assessing how to win back the support and at the same time operate in a new political environment where the public has a sense of its own power. Once the power of the people is let out of the bottle, it is very hard indeed to put it back into constraints. The PAP is working hard to adjust in contrast to how UMNO responded after 2008. Yet, one-party dominant political systems face real challenges incorporating new voices and embracing reform, especially when the resistance inside the system is entrenched. Singapore’s political evolution is important as it has served as a global model. It is especially important for Malaysia, given its historical links to the island republic. In both countries, the tests for the future lie within the dominant parties and whether the leadership of both countries is genuinely willing to bring about reform, not just promises and deliver half-hearted and flawed measures. It is important to laud the efforts of reform, but carefully scrutinise the implementation. Nowhere is the importance of scrutiny more relevant than in Burma (Myanmar). What a political year that country has experienced. Since the November 2010 election results were announced early this year, the country has undergone political liberalisation led by the new civilian leadership. This top-down transition is still in its early days, yet there are distinguishing groups of soft-liners and hardliners in the system. 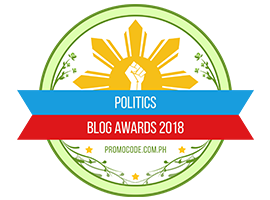 Right now the soft-liners – those advocating for genuine inclusion of the opposition, pushing for economic reform and better governance – are leading the charge. Today one can find almost revolutionary changes on the ground with pictures of Aung San Sui Kyi on the streets of Rangoon, a much more open media and even a protest law that is more liberal than Malaysia’s. While many activists, especially ethnic minority leaders and what is known as Generation 88 leaders (those associated with the student movement opposing military rule in 1988) are still in jail, many others have been released and the 40 or so seats to be contested in by-elections in 2012 will include the National League for Democracy, bringing it into parliament. Interestingly the country’s legislature has become a place for substantive discussion of policy and problems, as all sides seem – at least for now – to be focused on bringing the country forward. The resistance is strong, and challenges, especially in the economic realm are high – yet here too, in one of the region’s darkest democratic corners, there is light. This year has taught us – from the Middle East to Southeast Asia – that political change is possible in the more authoritarian outposts. Yet, in the focus on the unexpected, we sometimes overlook the ordinary. There are two realms where serious contestation over basic rights is evolving with great intensity in Southeast Asia. 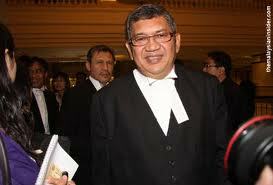 The first is in an issue many Malaysians know well – religious freedom. Despite the talk of 1Malaysia, the fact is that religious minorities in the country feel a deepening sense of anxiety. What is forgotten here is that many individuals in the religious majority feel a similar sense of concern. The problem here – as it is elsewhere in the region – is multifaceted, from the over-politicisation of issues and a lack of trusted political leadership to deep-seated racism and more. What is important is to appreciate how much healthy dialogue now exists. The media tends to focus on the problems, the bogus police reports against religious leaders for speaking frankly, rather than on the quiet sanity and respectful interactions that are growing. Between and among faiths there is considerable respectful discussion as the quiet majority embraces the ridiculousness of the Obedient Wives Club. Interfaith understanding is deepening, as with a more robust discussion within faiths on issues. This is part of the more open political space filled by ordinary citizens, engaged in discussions and genuinely motivated by our common humanity. Religious freedom issues are also being contested and engaged elsewhere in Southeast Asia. This year saw a religious crackdown in the Hmong in Vietnam, further marginalisation of religious minorities and attacks on religious institutions in Indonesia and religious violence in Timor Leste between groups often through gangs. Yet, simultaneously, for every crackdown or attack, there are thousands of discussions and shared knowledge as solidarity across the faiths remains the mode of the majority. Minorities are facing another troubling issue, however. It involves land. There is a region-wide crisis evolving over land rights, from Cambodia and Vietnam to Timor Leste and Burma. Land grabbing is occurring unchecked throughout the region, often with impunity and dire consequences for those lacking the political connections to hold onto their homes. Consider the case of Boeung Kak Lake in central Phnom Penh where over 3,000 people were pushed aside for a “new development ” despite having land titles. There has been an ongoing battle through the courts and on the streets to stop the evictions. Residents won a court victory in August, recognising their titles, but the struggle continues. Many more cases of land grabbing are going unnoticed, as often those who are affected lack the resources to fight. Now there is more international attention and support of this issue through civil society, as steps are being taken to strengthen laws and improve access to information. Protests against injustices such as these are having an impact, admittedly with high costs for those involved. This year more attention is placed on the concerns of the marginalised. The Occupy Wall Street movement has had an international dimension. Whether it has been in the budget programmes or in the human rights reports on migrant labor, an appreciation of those outside, those left behind by development, is increasing permeating into the broader public psyche. Inequality has squarely been on the public agenda in 2011. While the policy solutions and approaches have yet to fully evolve, getting to be part of the agenda is an important first step. Democratic openings require inclusion of all, especially those who have the least. You judge the vibrancy of a democratic system by looking at the conditions faced by those on the political periphery, not those in the center. As we look toward the future, to a year that will indeed be historic in Malaysia given the upcoming 2012 polls and increased levels of political engagement, taking stock of the trends in 2011 allows us to move forward constructively. This year has been a good one for democracy in the region, and the trends of empowerment point to future success, despite the obstacles. Let’s celebrate the successes of 2011, especially acknowledging the bravery of individuals, and welcome hope for 2012. 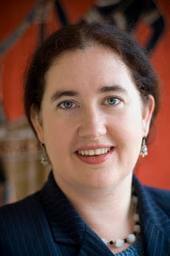 DR BRIDGET WELSH is associate professor of political science at Singapore Management University and she can be reached at bwelsh@smu.edu.sg. Posted in civil society issues, Democracy, Governance, Human Rights, Politics. Happy New Year to All Malaysians and our Friends around the World. May you be blessed with Good Health, Prosperity and Happiness in the Year 2012. 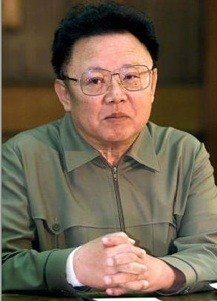 2011 will recede into history and it will be up to our historians to decide its significance for the future generation. Time Magazine made 2011 the Year of the Protestor, dedicated to the men and women on Arab Street and elsewhere including our Bersih 2.0 July 9, 2011 rally. Dato Ambiga, the friendly face of the Bersih movement, was voted the Person of the Year by a popular web-paper FreeMalaysiaToday. In honoring her, lest we forget, we must pay tribute to the hardworking people of Malaysia who continue to cope with the challenges of making a living amidst rising prices of basic necessities and rampant corruption. We like to think that 2012 will be a year of hope for our country. Let us remain united despite efforts of extreme elements among us to create religious and racial tensions. If we give in to these elements within our ranks, we will destroy everything we struggled hard to build over a few generations. To all the politicians, those in Government and in the Opposition, we wish to say that we will hold you to high standards of public accountability for your policies, programmes, and actions. Serve the rakyat, and not yourself. Most of us have had enough of corruption and abuse of power and would like to you change your ways, or face rejection in the next elections. John Coleman, HBS ’10, is the author of Passion and Purpose: Stories from the Best and Brightest Young Business Leaders. 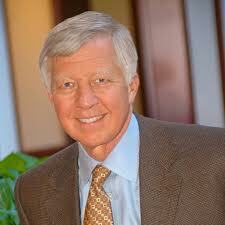 Bill George is professor of management practice at Harvard Business School and the author of five books, including True North and True North Groups. Follow them on twitter @johnwcoleman and @bill_george. Posted in business, Governance, Leadership, management. Though 2011 has been a challenging year for Prime Minister Najib Tun Razak, both at the domestic and the global front, it was still an eventful year. At the domestic front, Najib continued with the transformation programmes while addressing the ever-changing aspirations of the people. 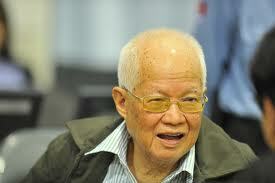 He continued with radical changes including abolishing the controversial Internal Security Act (ISA). At the global front, the economic decay of the West in particular has created new challenges in promoting the national economy. The prospect of an impending global recession prompted Najib to thread a cautious path in managing the country’s financial resources. Nonetheless, Najib, known for his tenacity and unwavering commitment, took on the task of leading the country based on his mantra – “People First, Performance Now”. The year witnessed numerous bold transformation initiatives by the “Father of Transformation” based on the 1Malaysia aspiration that has been the hallmark of Najib’s initiatives. It is apparent that many of his efforts are showing results. The people too in general appreciated his strategies and public approval on Najib’s leadership has improved tremendously. 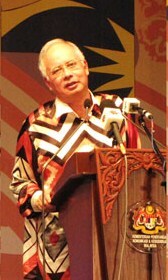 A popularity study by Universiti Islam Antarabangsa (IIUM) and Universiti Putra Malaysia (UPM) indicated greater approval for Najib from all races in the country.IIUM’s four-year study pointed out that Najib’s popularity among the Malays shows a marked improvement from 35 percent in 2008 to 59 percent in 2011, an increase from 33 to 45 percent among the Chinese and from 41 to 62 percent among the Indians. A similar study conducted by UPM this year on the minorities – Indian Muslims, Portuguese, Baba Nyonya, Orang Asli, Siam and Chitty – found a total of 54.2 percent of the minorities giving their thumbs-up for Najib. Just mention the rhyming acronyms – KR1M, PR1MA, MR1M, BR1M and the latest KIR1M – they immediately refer to Najib’s effort to touch base with the people, especially the needy. The KR1M or the Kedai Rakyat 1Malaysia are retail outlets offering daily necessities at affordable prices, up to 60 percent below other retail outlets. The whole idea is to reduce the burden of urban poor, with KR1M offering daily necessities like rice, egg, milk, flour and chili sauce. Also available are frozen items, diapers and detergents.KR1M is further complemented by Kedai Ikan Rakyat 1Malaysia (KIR1M) launched this month, offering fresh seafood at prices 30 to 40 percent lower than prevailing market price. Menu Rakyat 1 Malaysia (MR1M) ensures the man on the street enjoys a meal worth up to RM2 for breakfast and RM4 for lunch.As at December 16, the number of vendors who joined the MR1M scheme had roughly doubled, with 1,155 MR1M outlets opened all over the nation, compared with 611 when launched last July. In the latest move, the MR1M outlets would be available at all higher education institutions starting with Universiti Malaya. The 1Malaysia Public Housing Project (PR1MA) was launched on July 4 as a strategic initiative to fulfil the housing needs of the people, especially the urban middle-class.In Putrajaya, under the programme 560 affordable homes priced between RM120,000 and RM150,000 in Precinct 11 were allocated for local youths with household income below RM6,000. This project is expected to be extended to other places like Johor Baru and Penang. The 2012 Budget allocated RM100 to every school student and book vouchers worth RM200 for undergraduates. The government’s goodwill was further extended with the RM500 hand-out under 1Malaysia Public Assistance (BR1M) for households earning less than RM3,000. Realising that the people have been yearning for positive changes, a number of transformation programmes has been launched. Among them is the Economic Transformation Programme (ETP) that puts Malaysia on the path to emerge as a high income nation by 2020. One of the 85 programmes implemented in 2011 is the Small Retail Outlet Transformation Programme (TUKAR) to help modernise small-time retailers and help them to compete with other players. The programme is expected to contribute RM5.56 billion and create 51,540 employment opportunities. On the whole, all the ETP initiatives launched in 2011 are expected to contribute RM150 billion and create more than 300,000 employment opportunities by 2020. The government transformation, too, is showing results. Malaysia was listed on the 19th spot among the safest country index, a significant improvement from the 38th spot in 2008. The same index also picked Malaysia as the safest country in Southeast Asia and fourth safest spot in the Asia-Pacific region, behind New Zealand, Japan and Australia. 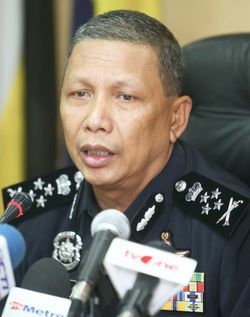 One of the seven National Key Result Areas (NKRA) is reducing crime.Najib etched his name in the nation’s history when he repealed the controversial Internal Security Act 1960 (ISA) and Banishment Act 1959. He also said that the Restricted Residence Act 1933, Printing Presses and Publications Act 1984 would be reviewed. The move was welcomed by most, within and outside the country.Also on review is Section 27, Police Act 1967 that provides discretionary powers to the Police to control and issue permits for rallies. The latest, and another landmark decision by Najib, is the amendments to Section 15 of the Universities and University Colleges Act 1971, allowing undergraduates to join political parties upon reaching 21 years of age. Just a decade ago, it was rare to see Malaysians donning the national jersey and, what more, to see them on the store shelves.Today it is a different story altogether. The “Harimau Malaya” and “Team Malaysia” jerseys are hot items. People were annoyed when they found out that the outlets have ran out of stock for the jerseys. The private sector, too, has shown interest in Malaysian sports. Astro-pay-TV now has a dedicated channel, channel 801, to cover the sports development in the country. Malaysian telecommunication giant TM also got itself involved in sports through “Team Malaysia” and gave a helping hand in the national contingent’s preparation for the recent 26th SEA Games, the upcoming Olympics 2012, and the Asian Games and Commonwealth Games both in 2014. Nonetheless, the government’s commitment is still needed and under Najib the sporting fraternity is certain to see greater achievements. Social activist, Khairil Hafidz Khairuddin, 29, noted that while he lauded the government’s programmes, there was still room for improvements to ensure the objectives were met. “A body to monitor each initiative is necessary for all the programmes. The monitoring body could also review the programmes to check whether they were still relevant or otherwise. It could also propose new programmes to be implemented by the government for the benefit of the people,” he said. A private sector employee, Raju Guruvelu, 35, noted that the BR1M monetary programme is a good effort in easing the burden of the low-income earners. As for Mohd Azrul Kamaruddin, 31, he was impressed by the government’s efforts to promote products from rural entrepreneurs through the annual Rural Entrepreneur Carnival (KUD). 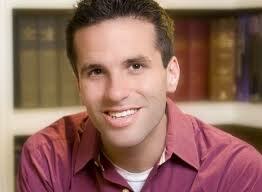 “I love to see the host of products that we rarely see in the open market. All of them are locally made,” he said. At the 2011 KUD, Najib announced an initial allocation of RM50 million under the Small Scale Dynamic Entrepreneur (UK Dinamik) programme to assist small-scale entrepreneurs, especially in the rural areas. Posted in Economy, Governance, Leadership, Politics. 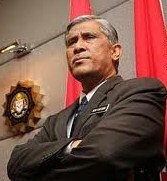 In a letter to Malaysia’s Attorney General (AG), the Chief Commissioner of the Malaysian Anti-Corruption Commission (MACC) and the Inspector General of Police (IGP), an international NGO coalition is requesting that Malaysia’s top prosecutors immediately arrest and criminally prosecute long-term Sarawak Chief Minister Abdul Taib Mahmud (“Taib”), his four children, his eight siblings and his first cousin, Abdul Hamed Sepawi (“Sepawi”). The letter is signed by thirteen NGOs from Malaysia, Australia, Germany, Japan, Switzerland and the United Kingdom as well as a number of individual signatories from Malaysia. Greenpeace, FERN and the Swiss Bruno Manser Fund are among its most prominent international signatories. Three NGOS from Sarawak – Borneo Resources Institute Sarawak (BRIMAS), The Network for Native Land Rights (TAHABAS) and the Sibu-based Institute for Development of Alternative Living (IDEAL) – have also endorsed the letter. Research by the Bruno Manser Fund has shown that Taib and his immediate family members have a stake in 332 Malaysian and 85 foreign companies worth several billion US dollars. 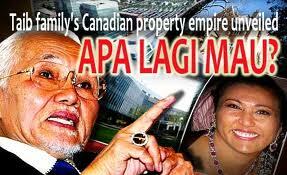 The known Taib family stake in the net assets of 14 large Malaysian companies alone is over 1.46 billion US dollars. The letter gives three examples of Taib family-controlled Malaysian companies that have been systematically, unduly and unlawfully favoured by the Sarawak Chief Minister – Cahya Mata Sarawak (KLSE 2582), Achi Jaya Holdings and Ta Ann Holdings (KLSE 5012). Cahya Mata Sarawak holds a monopoly on cement production in Sarawak, Achi Jaya Holdings holds a monopoly on timber export licences and Ta Ann Holdings, which is headed by Taib’s cousin Sepawi, has been granted more than 675,000 hectares of timber and plantation concessions without public tender. The Taib family has been identified as being behind property companies in Canada (Sakto Corporation, City Gate International Corporation and others), in the UK (Ridgeford Properties Ltd.), in the US (Wallysons Inc, Sakti International Corporation and others) and as being closely linked to at least 22 companies in Australia. Some of these companies have, according to the NGOs’ letter, been given to the Taibs free of charge by the son of Yaw Teck Seng, the founder and majority shareholder of Samling, one of Malaysia’s biggest logging conglomerates. Other Taib companies, such as Regent Star and Richfold Investments in Hong Kong, have been found to be linked to a multi-million-dollar kickback scheme uncovered by Japanese tax investigators. The NGOs come to the conclusion that “the criminal nature of Mr. Taib and his family members’ ‘private’ businesses can no longer be denied by anyone who is intellectually honest, desirous of seeing the truth and interested in the good of the Malaysian people and, in particular, the people of Sarawak”. 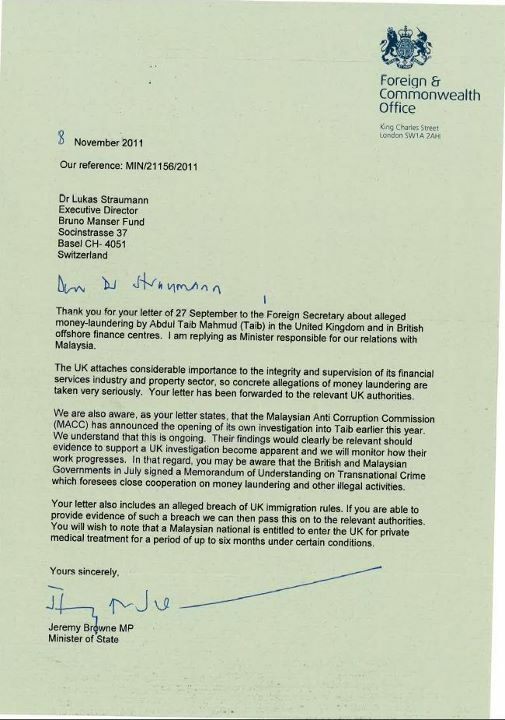 “We would like to remind you that Malaysia, as a signatory to the UN Convention against corruption and the UN Convention against Transnational Organized Crime, has a strong international obligation to fight corruption and organized crime in an efficient, timely and expedient manner”, the letter states. Posted in civil society issues, Corruption, Finance, Governance, Justice. Václav Havel, the Czech playwright and dissident turned president, and North Korean despot Kim Jong-il might have lived on different planets, for all their common commitment to human dignity, rights, and democracy. When they died just a day apart this month, the contrast was hard for the global commentariat to resist: Prague’s Prince of Light against Pyongyang’s Prince of Darkness. 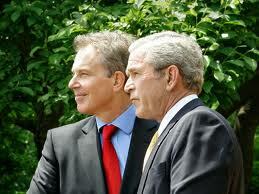 But it is worth remembering that Manichaean good-versus-evil typecasting, to which former US President George W. Bush and former British Prime Minister Tony Blair were famously prone, and of which we have had something of a resurgence in recent days, carries with it two big risks for international policymakers. One risk is that such thinking limits the options for dealing effectively with those who are cast as irredeemably evil. The debacle of the United States-led invasion of Iraq in 2003 should have taught us once and for all the peril of talking only through the barrel of a gun to those whose behavior disgusts us. Sometimes, threats to a civilian population will be so acute and immediate as to make coercive military intervention the only option, as with Muammar el-Qaddafi’s Libya, at least at the time of the imminent assault on Benghazi in March. But more often it will be a matter of relying on less extreme measures, like targeted sanctions and threats of international prosecution – and on diplomatic pressure and persuasion. Negotiating with the genocidal butchers of the Khmer Rouge was acutely troubling, personally and politically, for those of us involved, but those talks secured a lasting peace in Cambodia. And it is only negotiation – albeit backed by good old-fashioned containment and deterrence – that can possibly deliver sustainable peace with Iran and North Korea. The second risk that arises from seeing the world in black-and-white terms is greater public cynicism, thereby making ideals-based policymaking in the future even harder. Expectations raised too high are expectations bound to be disappointed: think of former British Foreign Secretary Robin Cook’s “ethical foreign policy” at the start of Blair’s premiership. Political leaders who make a big play of “values” are often those most likely to stumble. Think of the lamentable response by US President Bill Clinton’s administration to the Rwandan genocide in 1994 or Australia’s shameful rejection of asylum-seeking boat people in the Tampa affair under John Howard’s government a decade ago. Then there is many Western governments’ highly selective embrace of democracy when it results in the election of those (like Hamas) whom they find unacceptable; the unwillingness of almost every nuclear-weapons state to match its disarmament rhetoric with credible action; and the almost universal double-talk on climate change. But if double talk were an indictable offense, there would be few left to attend international summits. The task is neither to pillory nor to sanctify political leaders caught in these traps, but somehow to reconcile what they will often see as hopelessly competing demands of moral values and national interests, and to find ways to get them to do more good and less harm. A useful way forward in this respect may be to rethink fundamentally the concept of “national interest.” Traditionally seen as having just two dimensions – economic and geostrategic – there is a strong case for adding a third: every country’s interest in being, and being seen to be, a good international citizen. Actively helping to solve global public-goods challenges (like climate change, human-rights protection, international piracy, drug trafficking, cross-border population flows, and elimination of weapons of mass destruction), even when there is no direct economic or strategic payoff, is not simply the foreign policy equivalent of Boy Scout good deeds. Selfless cooperation on these issues can actually work to a country’s advantage by boosting its reputation and generating reciprocal support: my help in solving your drug-trafficking problem today will increase the chances of you supporting my asylum-seeker problem tomorrow. And a story couched in these realist terms is likely to be easier to sell to domestic constituencies than one pitched as disinterested altruism. Countries should pursue what the great international-relations scholar Hedley Bull called “purposes beyond ourselves”: our common humanity demands no less. But the real world is a place of gray shades, not black and white, and more often than not the cause of human decency and security will be better served by recognizing and working around that constraint rather than challenging it head on. Gareth Evans, Chancellor of the Australian National University, was Australia’s foreign minister from 1988 to 1996 and is President Emeritus of the International Crisis Group. Posted in Democracy, Foreign Policy, Human Rights, International Affairs.